Our tours leave from the St Jacobs Farmers Market unless planned otherwise. Our ticket booth is located at the south end of the market beside the Log Cabin on the corner of Farmers Market Rd and Benjamin Rd. Every Thursday and Saturday from April 18th to October 31st, 10am till 3pm. We will also be operating every Tuesday from June 11th to August 27th, 10am till 3pm. Tour times vary depending on the time of year and availablity. Please stop by our ticket booth upon arriving at the Market to book your desired departure time. Feel free to contact us for our departure times or to make reservations. 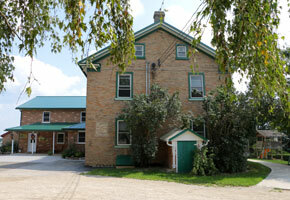 A visit to St Jacobs country is not complete without joining us for a Mennonite Farm tour. This tour is a very informative fully narrated one hour and fifteen minutes. The horse drawn trolley leaves from the St Jacobs Farmers Market at set times throughout the market days. Set out over tranquil country roads on a journey that will carry you to a typical Old Order Mennonite mixed farming operation. While heading to the farm you will be introduced to the Mennonite people, including their history, different groups in the area and their beliefs. As we arrive at the farm we are greeted by the friendly Old Order Mennonite children and their pet dogs. 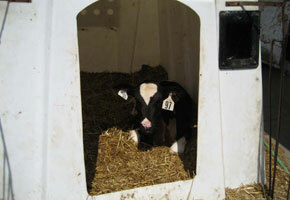 While at the farm you are sure to spot the other friendly farm critters and livestock. 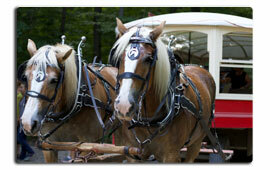 Experience nature's splendor as you tour through an apple orchard and maple sugar bush. Learn how maple syrup is produced as well as the collection methods. You are sure to enjoy the stop at the buggy shed where you will see a variety of buggies used by the family for transportation. 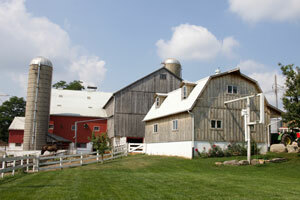 The timber frame barn, built in 1856 is now home to the beef and dairy cattle as well as the family's buggy horses. The tour would not be complete without a visit to the Farm Quilt Shop. 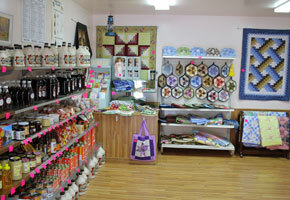 The lady of the house welcomes you into the Farm Quilt Shop where local Mennonite hand crafted items and maple syrup products can be purchased. 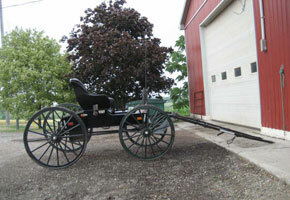 While heading back to the Farmers Market you will learn more about the Old Order Mennonite lifestyle including their weddings, funerals and schools. No question is out of place as your guide will be more than happy to answer any questions you might have throughout the tour. Goal of tour: To give our guests an accurate picture of the Ontario Mennonite community and answer your questions. Sites visited: Sugar bush, farm craft shop (meet a member of the family), look in at cattle and chickens, and look at the family's buggies. Reservations are not required unless you plan to attend with a group of 10 or more guests. Our ticket booth is open at 9:30am every market day and you are welcome to book your tickets ahead of time for any tour that day. If you have a large group it would be best to come by and book your seats early or call Nathan at 519-500-5168 to reserve at least 24 hours before.